About 30 years after Congress authorized Medicaid, then-Gov. John Engler launched reforms that would change the face of its coverage in Michigan. Before 1997, the state operated a “fee-for-service” plan that paid costs of Medicaid patients as they were incurred. Although they were under nominal management of a designated primary care physician, there was little incentive to curb spending. That was scrapped for a system which enrolled patients in one of several managed care organizations, each given a fixed amount to furnish health coverage for their population. The idea: Move Michigan from being a mere Medicaid “bank” to a smart health care manager. Today, nearly 70 percent of 1.8 million low-income Michigan Medicaid patients are under the umbrella of 13 authorized health plans. It is one of the nation's longest-standing Medicaid managed care programs. And one analyst believes it has proven skeptics wrong. Amid renewed debate over health care and the role of government – this time fixed on expanding Medicaid to 470,000 more state residents – it is often overlooked that Michigan has a Medicaid delivery system largely built on private management. Recent evaluations place several of its managed plans among the best in the country. In 2012, the National Committee for Quality Assurance, a Washington, D.C.-based nonprofit health-care analysis organization, ranked eight Michigan Medicaid health plans in the top 30 among 115 U.S. plans it evaluated. Michigan-based Blue Cross Complete rated no. 4 and Priority Health no. 7. Michigan's 13 health plans include both nonprofit and for-profit organizations. Rankings were based on clinical performance, member satisfaction and NCQA accreditation. To be eligible for rankings, health plans had to authorize release of their performance information and submit enough data for valid analysis. 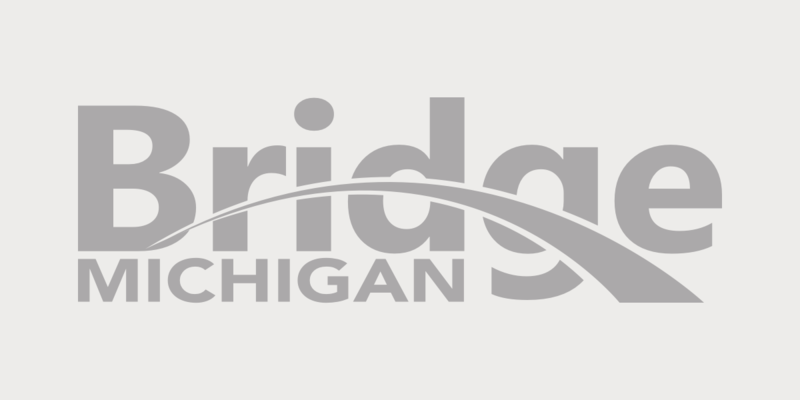 Michigan's managed care Medicaid network encompasses about 1.2 million low-income residents, including parents, children, pregnant women and some aged and disabled adults. It does not cover those in long-term care or those who receive both Medicaid and Medicare. Because they are risk-based, Hudson said health care plans have built-in incentive to manage patients well, including access to care and preventive health practices like prenatal care, cancer screenings and child immunizations. “If they are not managing people, then they are going to be paying hospitalizations,” she said. An overall picture of coverage in Michigan (under 65 population), 2011. Source: Center for Healthcare Reasearch and Transformation(CHRT) estimates based on 2011 American Community Survey data. But she also notes there is evidence of improved care in recent years by several health care benchmarks. According to data submitted to the Healthcare Effectiveness Data and Information Set, a tool used by plans to measure performance, timely prenatal care among Michigan Medicaid patients in health care plans grew from 71.5 percent in 2004 to 90.3 percent in 2012, compared to a national average of 86 percent in managed care plans. Childhood immunization improved from 60.4 percent in 2003 to 79.3 percent in 2012, compared to a national average of 75.1 percent. Comprehensive diabetes care improved from 73 percent in 2003 to 86 percent in 2012, compared to a national average of 87 percent. There is also evidence the plans save money. A 2005 study by the University of Maryland estimated that Michigan's Medicaid managed care program would save up to $330 million from fiscal 2004 through fiscal 2006, compared to a fee-for-service system. For fiscal 2012, reports the Department of Community Health, Medicaid in Michigan cost "$12.9 billion, including $8.5 billion in federal funds and $2.4 billion in state general funds and general purpose funds." Richard Murdock, executive director of the Michigan Association of Health Plans, believes Michigan's Medicaid management system is well positioned to handle expansion. That proposal -- backed by Gov. Rick Snyder – has faced tough sledding in the face of conservative opposition. For the most part, expansion would encompass able-bodied parents and adults who have no children and make up to 133 percent of the federal poverty level. The annual income limit is about $14,000 for an individual and $30,000 for a family of four. Murdock's organization represents 12 of 13 health care plans that Medicaid, as well as other health-care plans. “I am biased,” he concedes. Murdock’s view is backed, however, by a 2012 survey of doctors by the Center for Healthcare Research & Transformation, which found a large majority of primary-care physicians would be able to handle an increased patient load. “We have provider networks. We have contracted plans. We have an enrollment system that works. All we have to do is get people enrolled,” Murdock said. Ted Roelofs worked for the Grand Rapids Press for 30 years, where he covered everything from politics to social services to military affairs. He has earned numerous awards, including for work in Albania during the 1999 Kosovo refugee crisis. The pie chart would be more informative with a legend included. I like the article, but the pie chart seems to be missing the legend or descriptor of what each percentage slice represents. New version of chart is up.